Are you doing all of these things to help manage osteoarthritis pain? It's important to recognize and pay attention to any new symptoms you are experiencing. 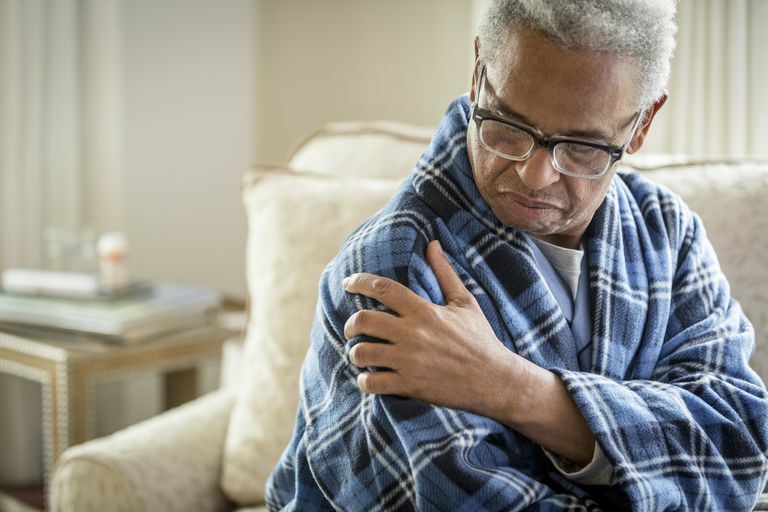 In terms of joint pain, which is usually the first symptom experienced by osteoarthritis patients, consult a doctor if it persists longer than two weeks. Your first consultation should be with your primary care doctor, who will do an initial evaluation of your symptoms. Being diagnosed is a process, and it best to go through the process with a doctor whose opinion you value, whom you trust and respect, and who makes you feel comfortable. After you've consulted with your doctor and your diagnostic test results have come back, your doctor will recommend a course of treatment. To have the best chance at managing your pain, you must be compliant with your treatment plan. Take medications as directed, and follow all of your doctor's advice. You can also keep a diary to help you remember to stay on track with your treatment regimen and to make notes when you are feeling worse or better. Osteoarthritis Medications - What Are My Options? Exercise is important for osteoarthritis patients. Gentle exercise helps keep joints mobile and functioning properly. Regular exercise wards off muscle atrophy and may decrease joint pain. Walking, tai chi, yoga, water exercise, and bicycling may be good forms of exercise for people with arthritis. If you need guidance with regard to exercise, consult with a physical therapist or qualified personal trainer. Check first with your doctor. Being overweight, even just moderately, impacts weight-bearing joints and can increase the pain of osteoarthritis. As you walk, your hips, knees, and ankles bear three to five times your total body weight. For every pound you're overweight, the equivalent of three to five pounds worth of added pressure is added to each knee as you walk. In contrast, a 10-pound weight loss causes 30 to 50 pounds of extra stress to be relieved from the joints. Joint protection can reduce stress on arthritic joints and decrease pain. There are several joint protection principles which, if followed, help to conserve energy and preserve joint function. The advice is quite simple, but you must be mindful of proper movements and recognize body signals. Everyone deals with chronic pain differently. There are individual responses to living and coping with chronic pain -- a lifelong condition that is not going away. It's important to realize that, despite that, chronic pain need not consume every moment of your life. By finding time for relaxation, however, you choose to relax your mind and body. By finding ways to distract yourself from pain, you essentially are managing your pain. It's important to surround yourself with people who understand the difficulties of living with chronic pain. Supportive family and friends can do so much just by listening when you need an ear, helping when you need assistance, relaxing with you, distracting you, and -- most importantly -- understanding. Merely sharing a joke or watching a movie together can help diminish the pain. Family And Friends: Do They Understand Your Arthritis? Managing osteoarthritis pain will require some sacrifice and lifestyle modifications. If you have to take arthritis medications, you may need to give up the occasional beer you enjoyed. If you are trying to maintain an ideal weight, you may need to skip the dessert course of your meal. If you have set realistic goals regarding exercise, you should eventually see positive results. Just as importantly, don't forget to treat yourself every now and do something that will boost your mood. Whether it's spending a day at the spa, getting a new haircut, buying a new pair of comfortable shoes, or all three -- you decide. Do you follow doctor's orders? Have you been compliant about taking medications as directed? Do you follow joint protection techniques? Have you maintained your ideal weight? Have you found time to relax? Honestly assess what you have been doing, what you could do better, what has worked, and what has not worked at all in terms of managing your pain. Make an appointment with your doctor and discuss whether or not you feel your pain management is satisfactory. It may be time to try something new or adapt something you are doing. Never stop trying to improve your situation.